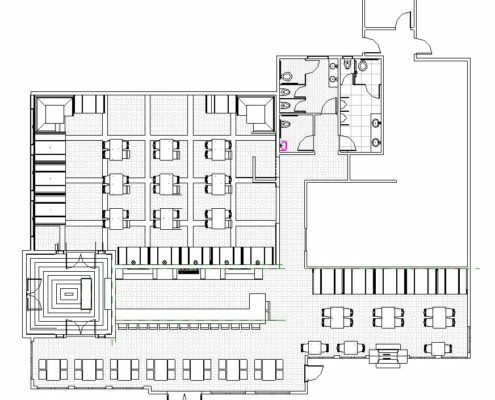 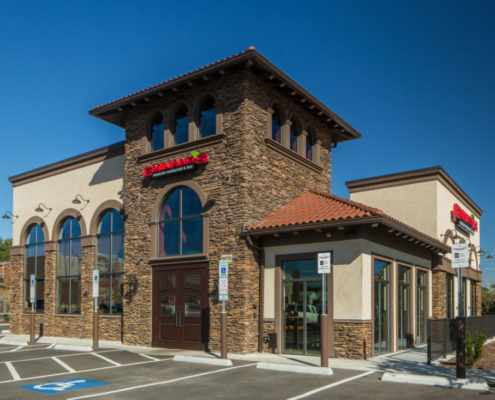 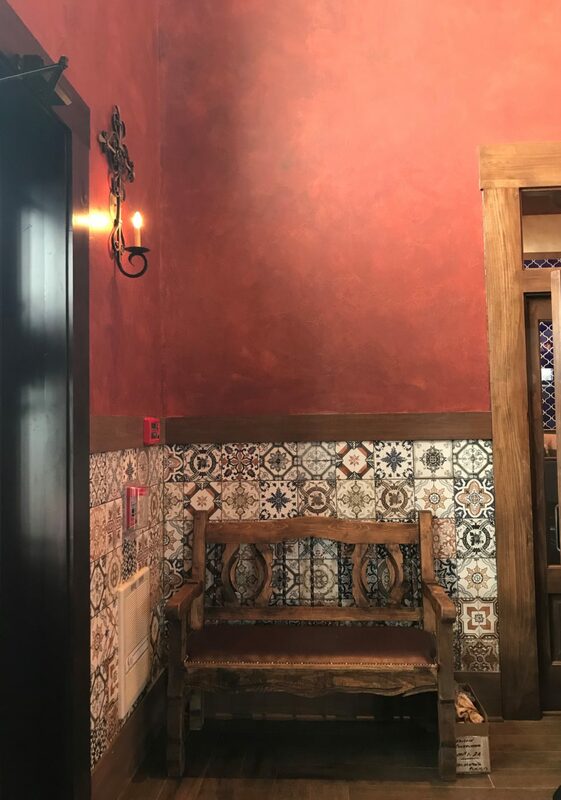 For this project, the team’s goal was to reference traditional Mexican architecture throughout the building, from roofline details to interior finishes. 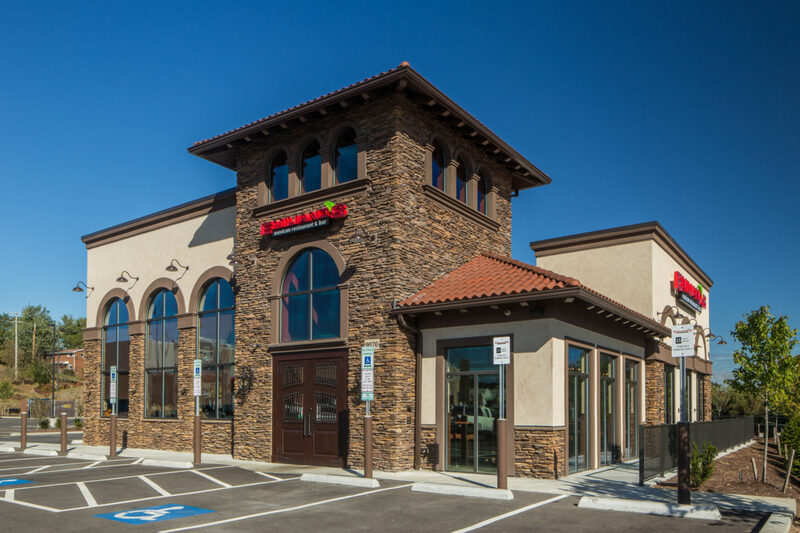 Partnering with Baehr Architects, the exterior façade presents an aged stucco finish with stone accents and large arched windows. 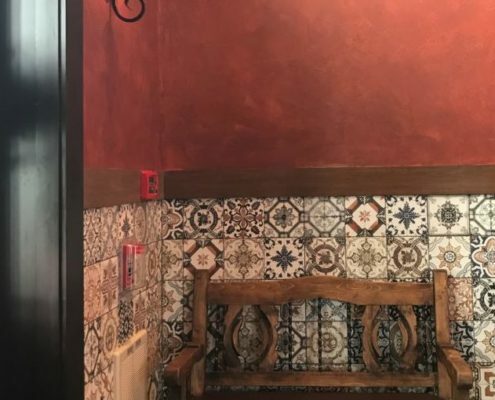 The vestibule welcomes guests with a custom hostess station surrounded by tall textured walls, vintage Mexican pottery, and reproduction tiles. 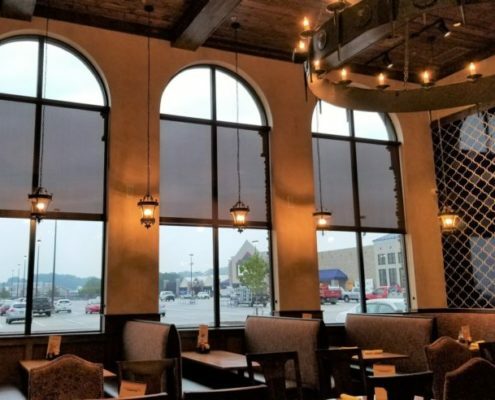 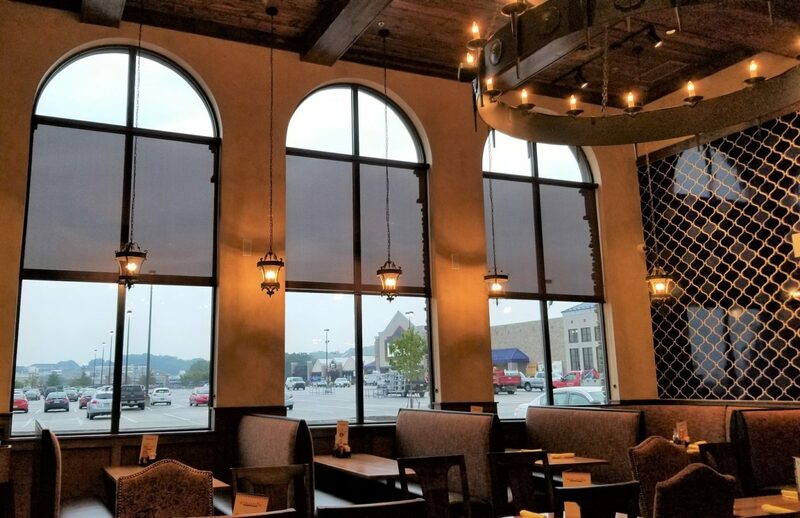 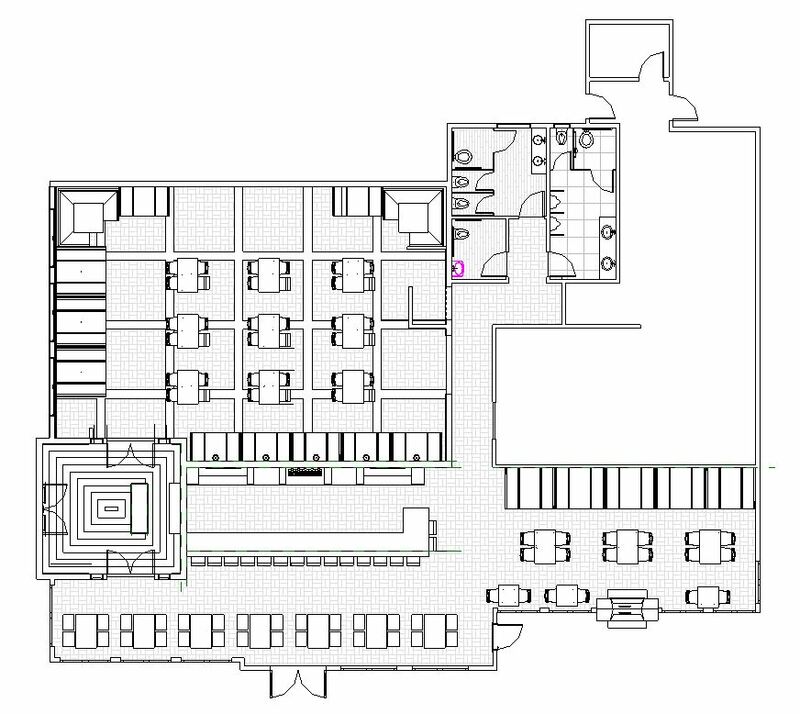 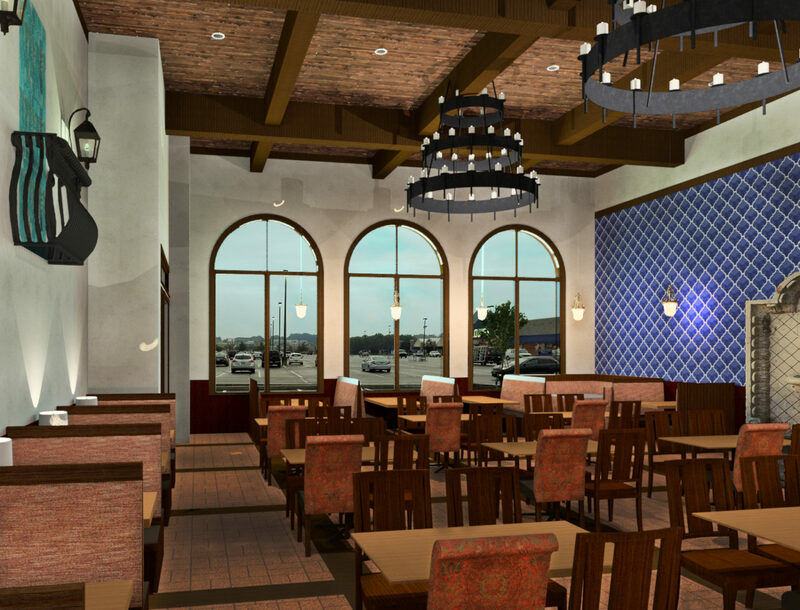 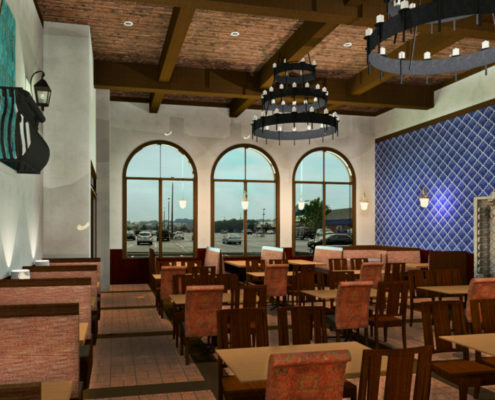 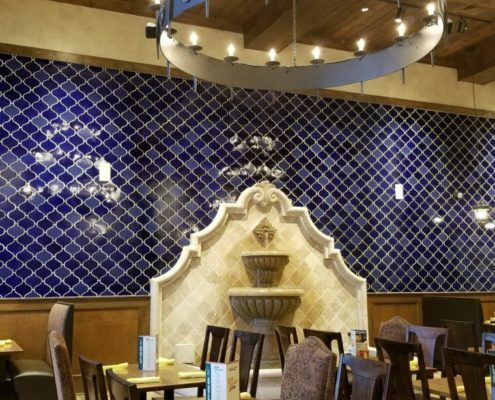 The dining room boosts 22’ tall wooden ceilings, detailed corbels, and a wall of cobalt arabesque tile. 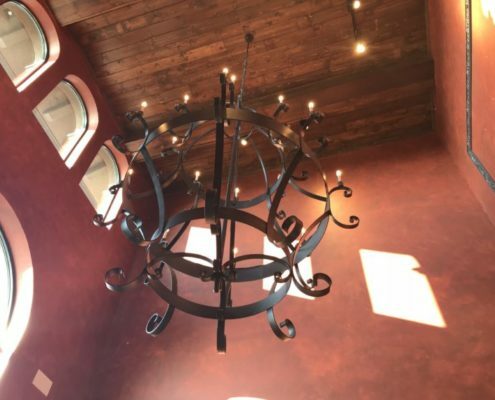 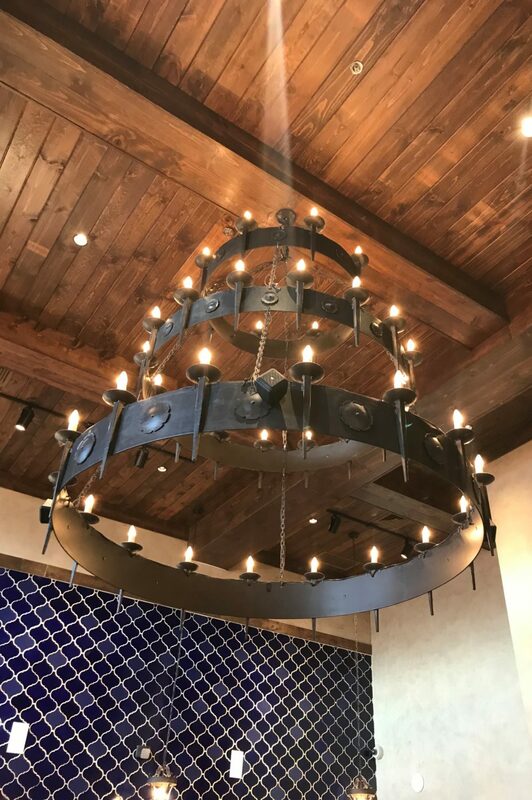 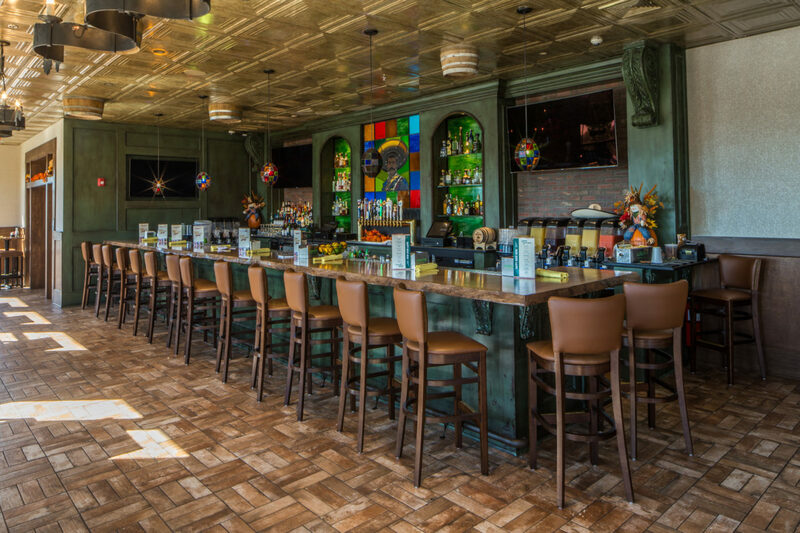 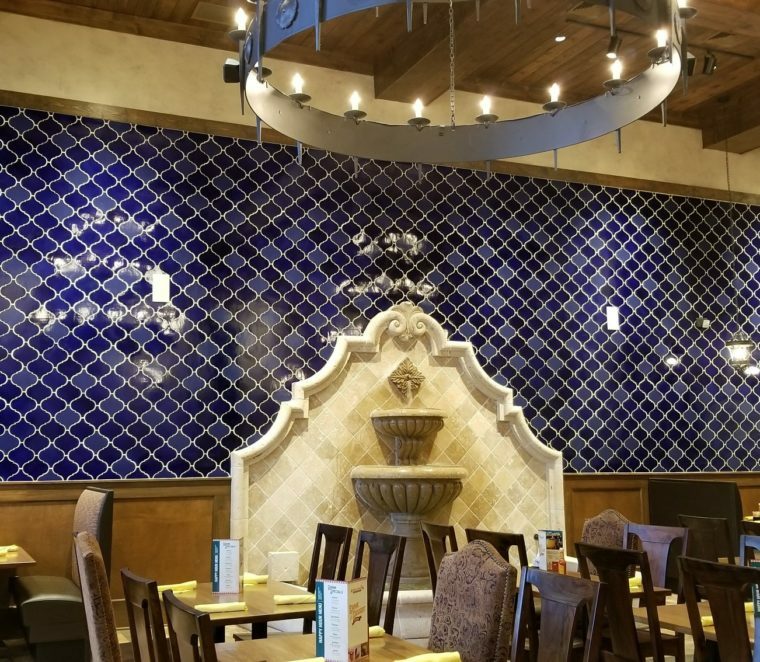 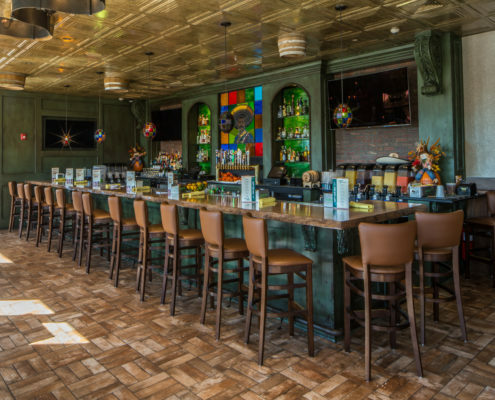 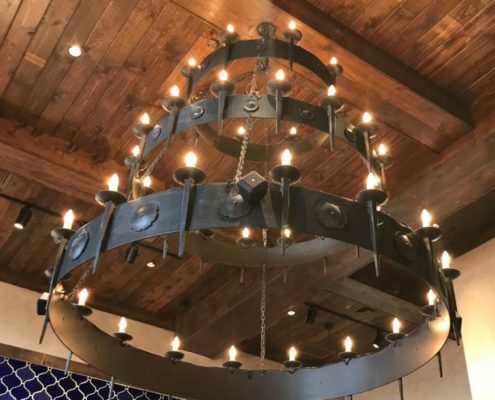 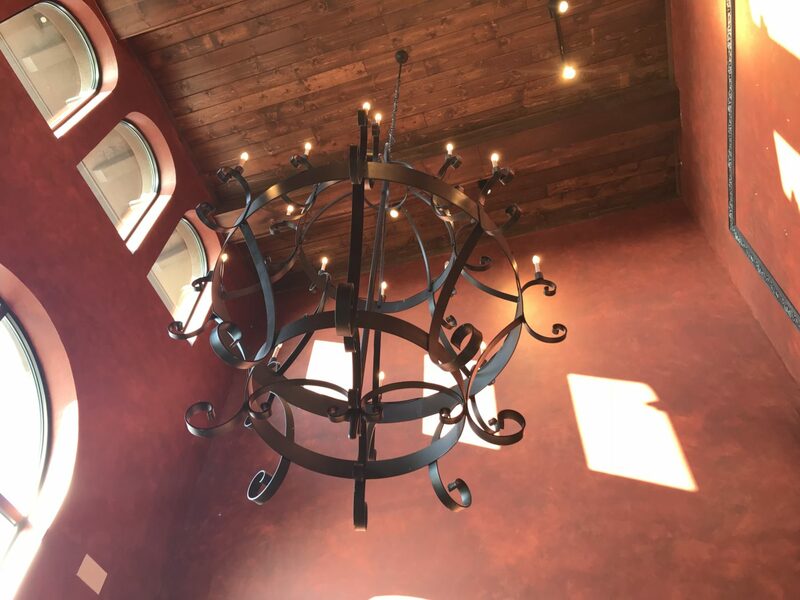 A stone wall fountain, custom iron chandeliers, textured walls, and brick floor pavers enhance the unmistakable Mexican beauty. 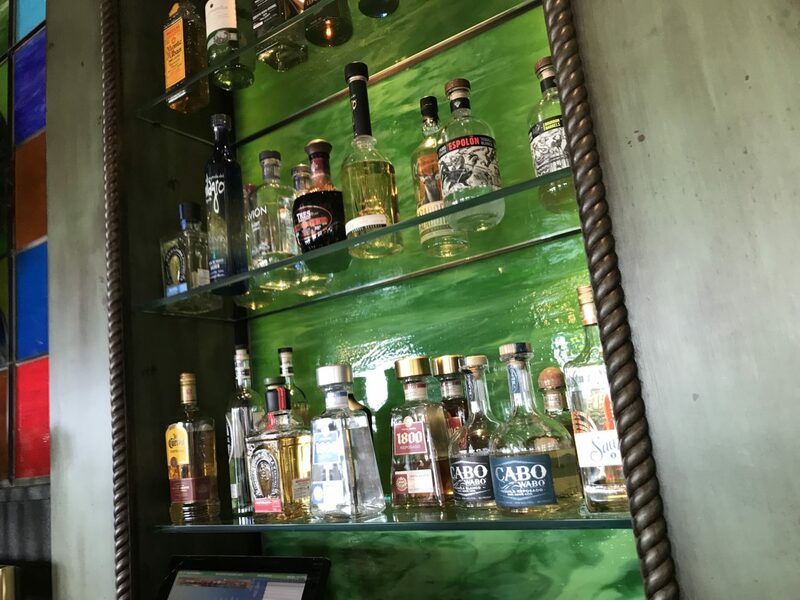 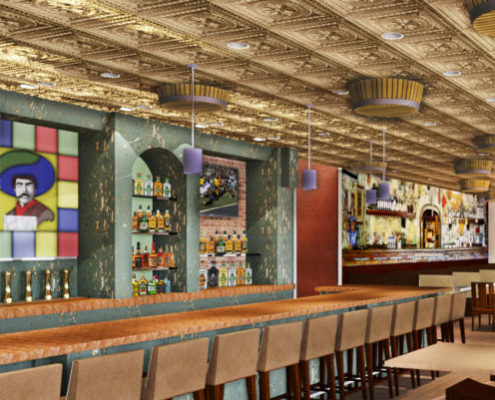 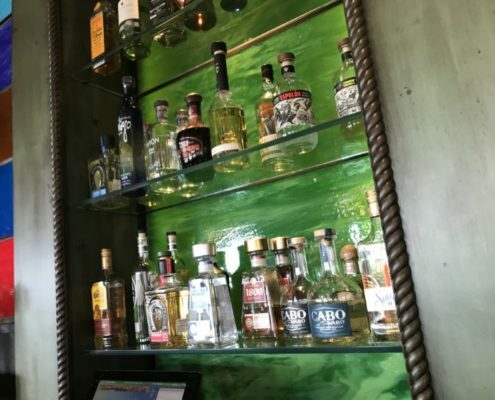 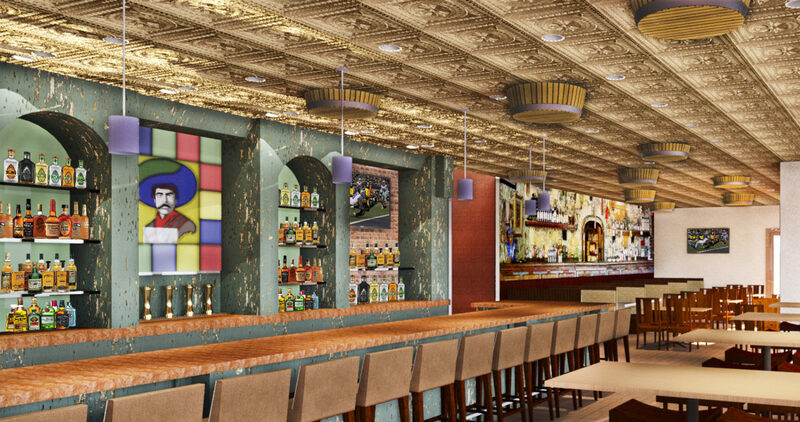 For the bar focal point, we commissioned a stain glass portrait of Emiliano Zapata and accented it with green painted distressed wood detailing. 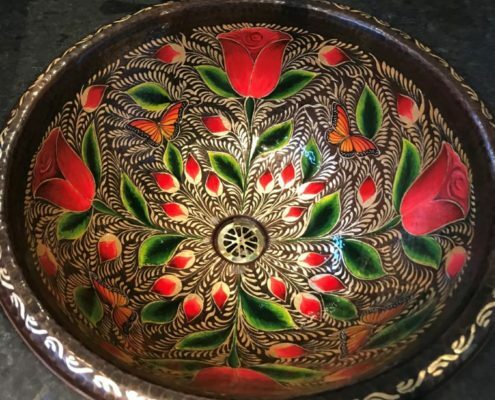 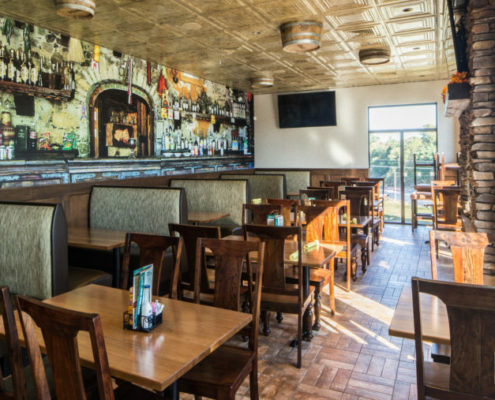 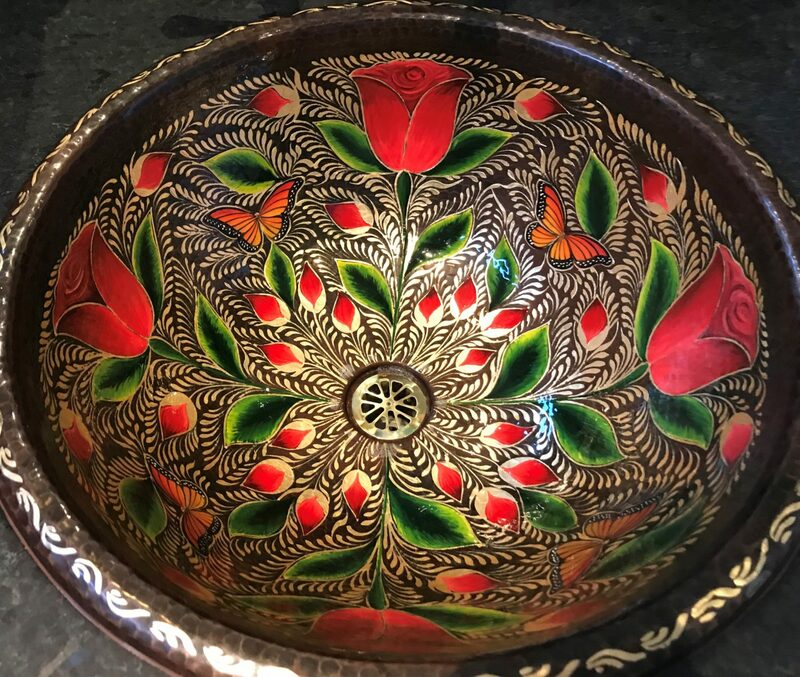 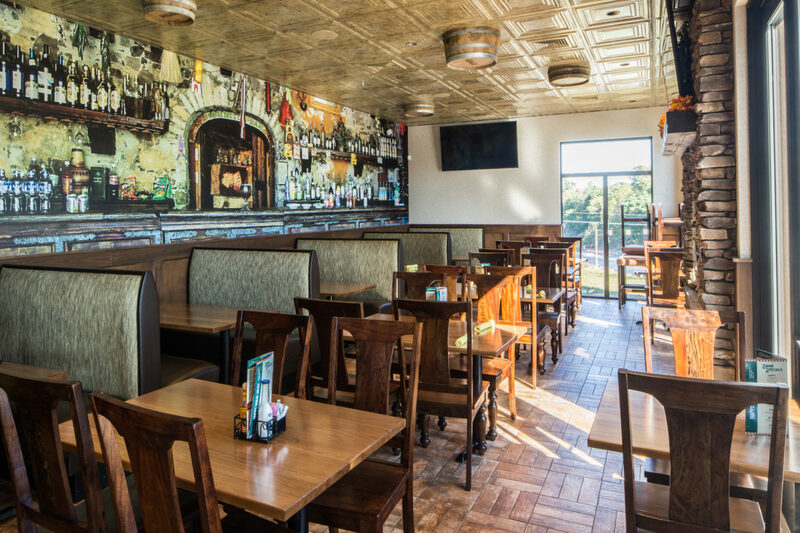 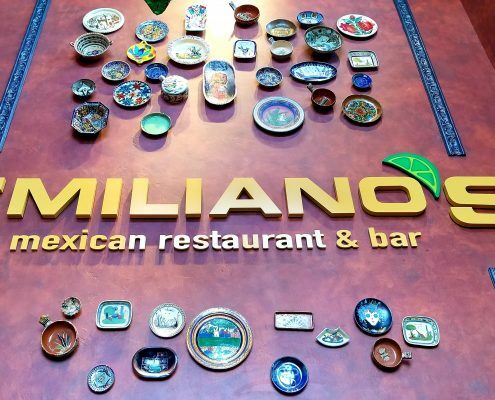 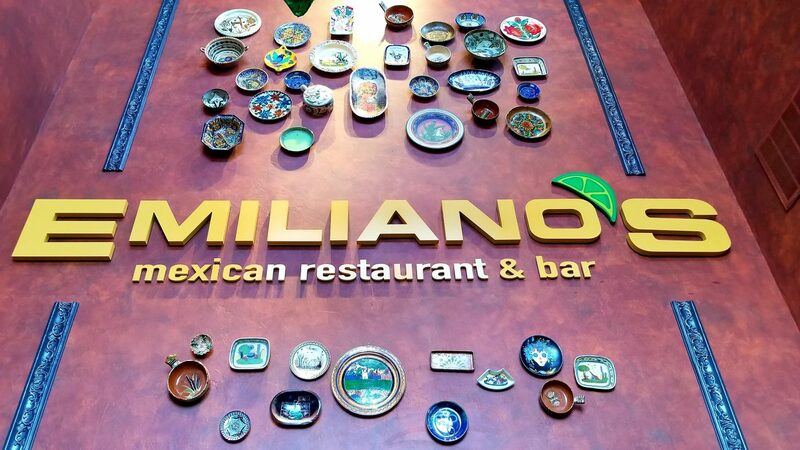 Emiliano’s was one of our favorite designs.